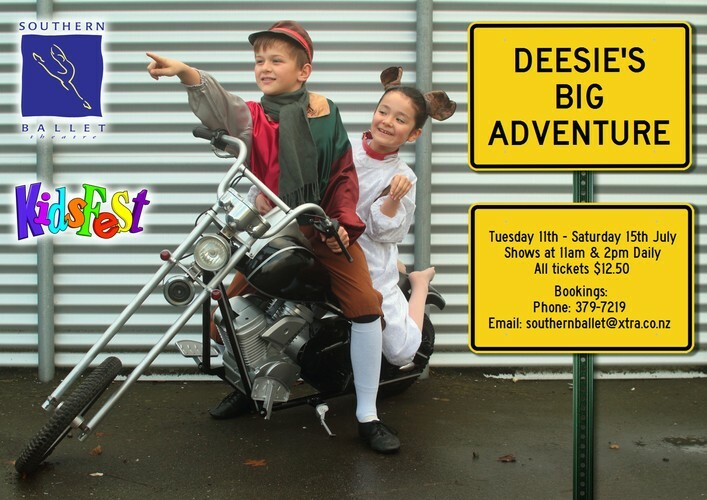 The delightful New Zealand story of Deesie, a little Jack Russell dog who gets left behind in the Marlborough Sounds after a holiday is brought to life by the Junior Ballet Company. Join Deesie on his adventure as he finds his way back home and meet all the local creatures and animals he comes across along the way. Come along to our boutique theatre and enjoy this entertaining colourful production which is suitable for children on all ages.